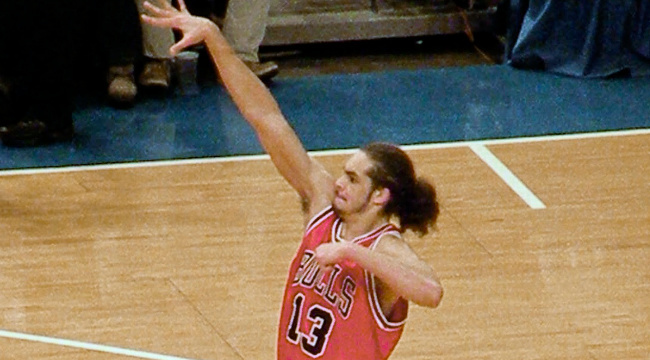 Joakim Noah helped Rotowire’s Kyle McKeown win the Triple Crown Hoops Auction league championship in the 2009-2010 season. This list covers the following three leagues, which comprise the Triple Crown of fantasy basketball. This league is run via the Yahoo! league manager. Twelve teams compete in a head-to-head point-per-category format. For example, if you score better than your opponent for the week, your team goes 4-5 that week. The standard nine categories are used. The teams are drafted in a snake draft. This league is run via the ESPN league manager. Twelve teams compete in a standard eight-category Rotisserie format. The teams are drafted in an auction. This league is the grandaddy of them all. It is run via the CBS Sports league manager, which is unfortunately not currently viewable to the public, but we plan on posting more articles to chronicle the league’s rich history. It’s a twelve-team head-to-head points league. The points are based on the nine basic Rotisserie categories.